We love seeing our products being used all over the world! 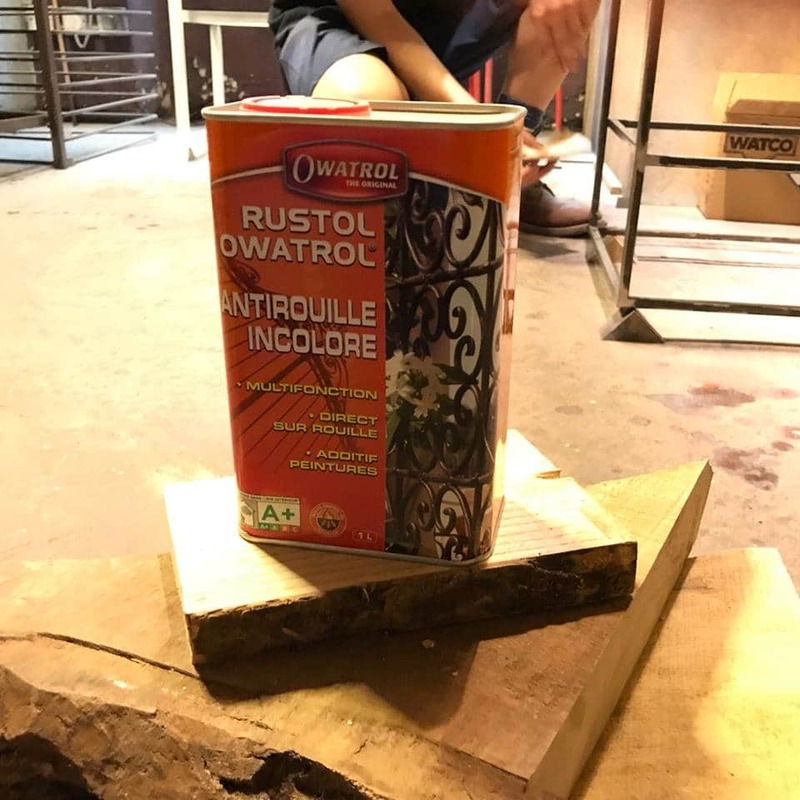 This time we have seen a furniture company in to Hong Kong that uses Owatrol Oil to finish their work. SPRUE is an industrial style furniture company in Hong Kong that makes everything by hand. They make bespoke and unique pieces of furniture with a helping hand from young people in the local community. What sort of things do they make? SPRUE make and design all kinds of things! They are fully equipped to be able to do carpentry, welding, steelwork, CNC routing / engraving, laser engraving / cutting, painting and even 3D printing! What ever you need making, the SPRUE team can make it happen. In the photos is Jake, he’s our weekend moonlighter, he helps us with a lot of our finishing and he’s got great attention to detail (he’s a software developer during the week). 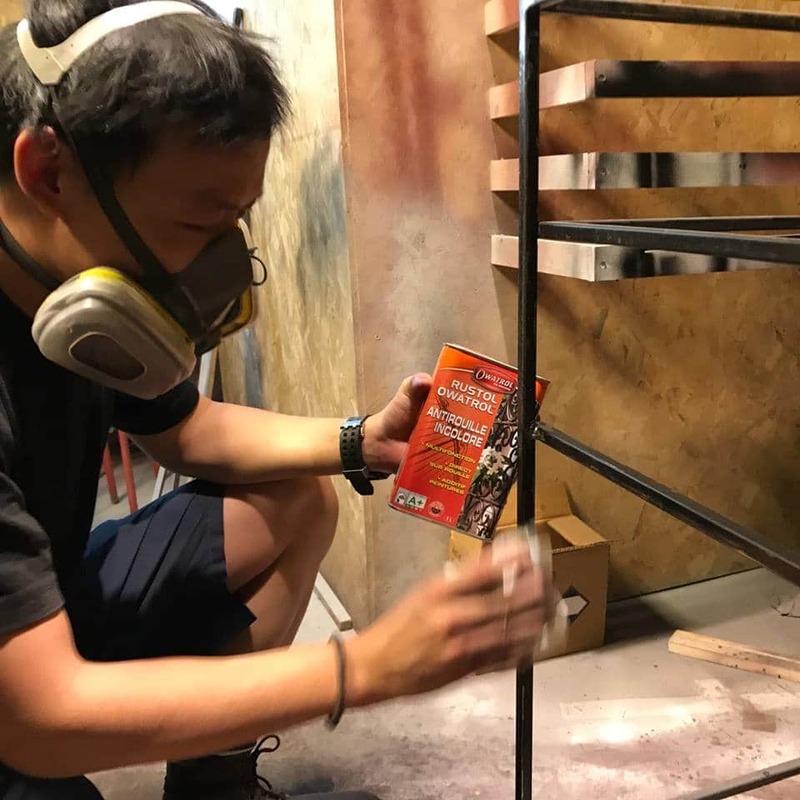 This is a common story in Hong Kong; many young people are looking for opportunities to be creative, build something and have an impact on their environment. 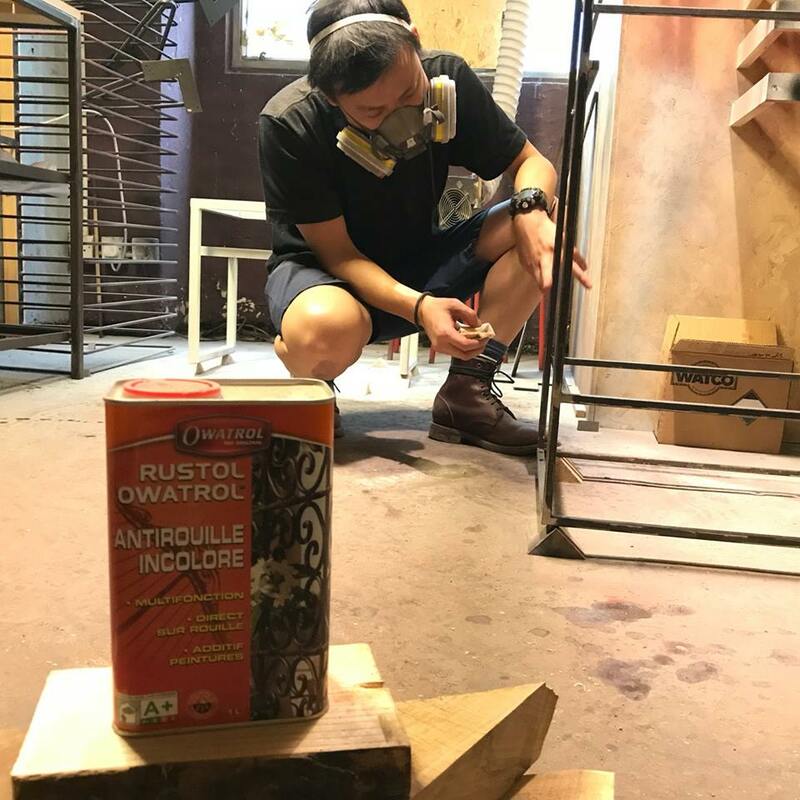 At SPRUE Furniture we design and make industrial style furniture by hand, it’s one of the few places locals can work where they get hands on experience with fabrication in wood and steel. Why do they choose to use Owatrol Oil? Jake is applying Owatrol to the frame of a prototype cabinet. On this steel frame we want to only brush the welds and leave the mill scale untouched on the rest. We want the complex colour of the steel to be visible to set off the deep black of the ebonized oak on the cabinet. 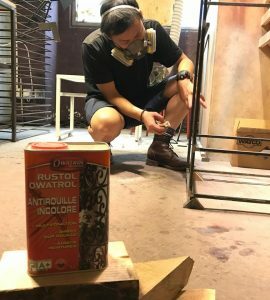 Owatrol Oil was chosen as our finish as it penetrates the steel and seals it from moisture – this way the owner will be able to enjoy the look of the steel. We want it to stand up as long as the oak cabinet. We have experimented with using polyurethane for this purpose, and sometimes we still do if we need a quick fix, but it’s semi-permeable to moisture and eventually a rusty patina begins to form, even if there was no scratching or abrasion. This is especially true in the humid environment of Hong Kong. I also appreciate that Owatrol is so simple to apply, it’s really hard to mess it up. Just wiping it on and wiping off the excess, it’s very simple. The industrial style is still catching on here, but we wouldn’t be able to finish our steel without this product, and we will absolutely continue using it as we grow. Owatrol Oil is a versatile, highly penetrating air drying oil. When used as a rust inhibitor it provides a tough, flexible finish, driving out excess moisture and air; displacing it from rusted metal, so stopping rust dead in its tracks. Owatrol Oil penetrates through the rusted metal to the sound metal below, isolating it and protecting it from further rusting. As it is a penetrating oil it can be used directly on the rusted surfaces – it drives out moisture and air and stabilises the metal to protect it from future damage. If you use an Owatrol product in your business, get in touch! We would love to see your work and share it on our website and social media pages.